Our starter pack contains our top six selling herbal medicines and dietary supplements, includes a free space saving counter display unit and a free point of sale kit jammed packed with everything you`ll need to promote the products easily and effectively. 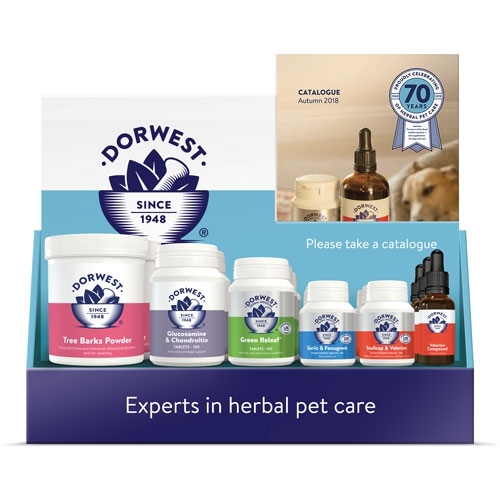 The products in the pack are not only our top sellers but also help the most common ailments in cats and dogs such as anxiety, travel sickness, skin and joint problems and digestive issues. This will provide a great foundation for you to build on the range.